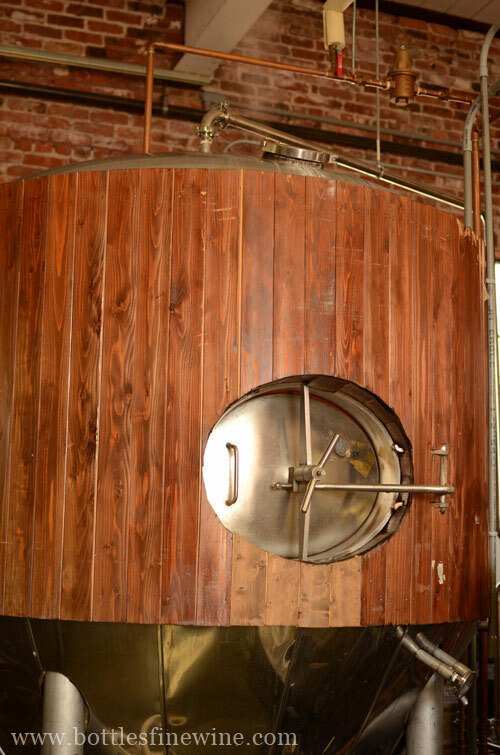 Bucket Brewery is one of Rhode Island’s newest craft breweries. Watch Liam’s visit to their new Pawtucket brewery, learn how they got started and what beers they’re currently brewing. You’ll also be happy to find Bucket Brewery Growlers in our beer coolers! This entry was posted in Brewery Tours, Learn About Beer and tagged beer, breweries, bucket brewery, craft beer, liquor store, pawtucket, providence, rhode island, ri, tour on February 11, 2014 by bottlesfinewine. 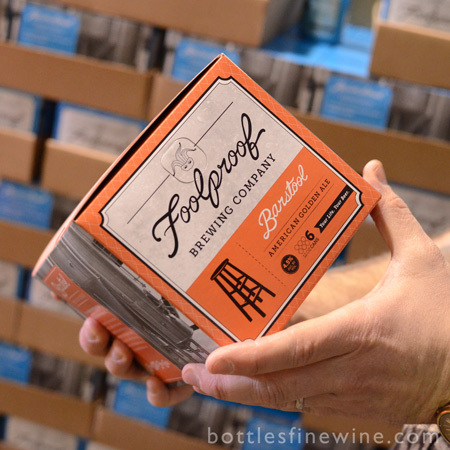 Foolproof Brewing Company is the newest Rhode Island craft brewery, and they are located not to far from us in Pawtucket, RI. 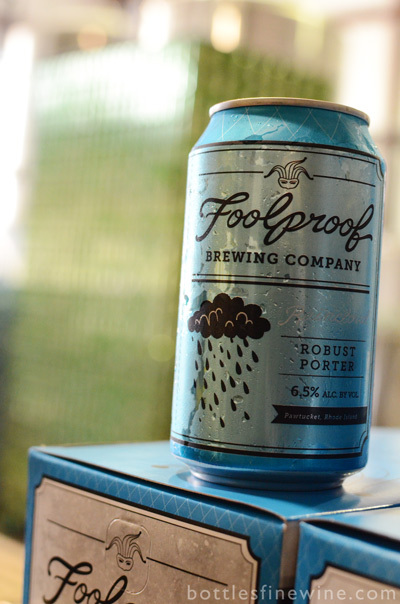 Nick Garrison, President & Founder of Foolproof, was kind enough to invite us over during their canning of Raincloud, a robust porter. 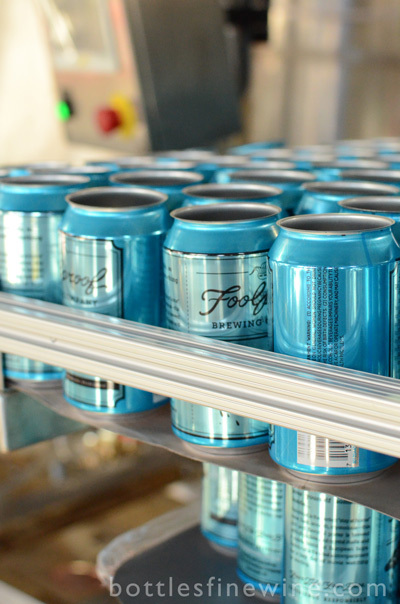 We got to try beer fresh from the canning line, take a tour of the brewery, and let Nick guide us and give insider’s information about each of Foolproof’s year-round beer offerings: Barstool, Backyahd, and Raincloud. Watch the video above, and be sure to browse our other brewery tours. Empty cans of Backyahd, ready to be filled! 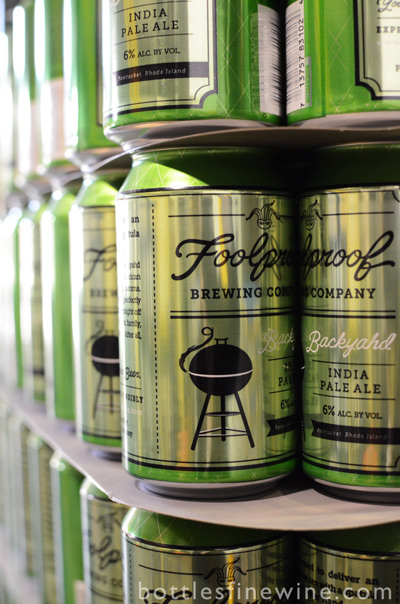 Backyahd is Foolproof’s India Pale Ale, and a perfect pairing for grilling, summer bbq’s, and all your ‘backyahd’ activities. Barstool is an American Golden Ale, and the beer of choice for a night out with friends. Foolproof 6-packs come in these handy and distinctive boxes. Conveniently portable, in our opinion. The Foolproof guys at work! They have weekly tours of the brewery, so you can hang out, drink fresh beers, and see the brewery. If you’re near Pawtucket, Rhode Island, swing by and check them out. We’re loving Raincloud at Bottles! This porter is “dark, smooth, and mysterious,” and a tasty treat for those rainy (or snowy) days. Beer in a can? 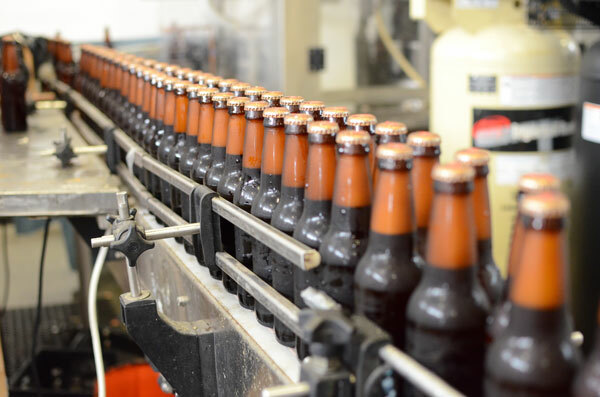 There are many reasons why Foolproof and Bottles like cans over glass bottles when it comes to our craft beer. Cans block all sunlight from the beer, which eliminates any chance for skunking. 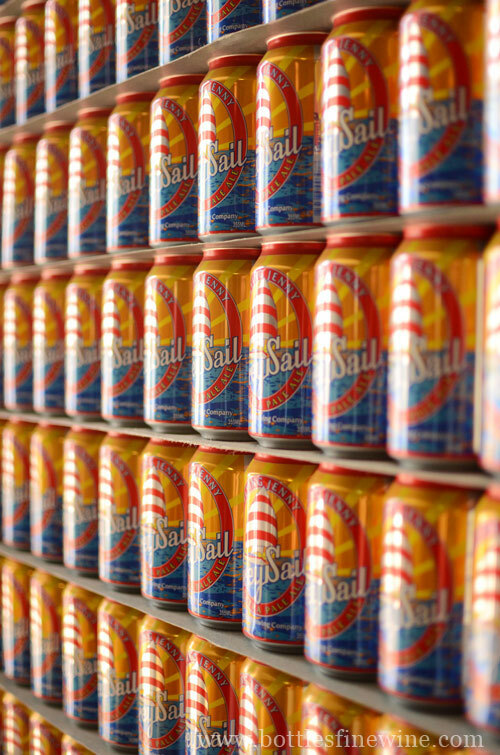 Cans have less airspace at the top, which increases the shelf-life of a beer. Cans don’t break & shatter! No one likes spilled beer. Cans are environmentally friendly and recyclable. This entry was posted in Brewery Tours, Learn About Beer and tagged beer, brewery, foolproof, pawtucket, rhode island, ri, tour on February 21, 2013 by bottlesfinewine. This past spring, Bottles (we’re an inquisitive liquor store in Providence, RI, full of local beer enthusiasts) was fortunate enough to pay a visit to Pretty Things Beer & Ale Project. Dann and Martha Paquette run Pretty Things, which is based in Somerville, Massachusetts, but brewed in Westport, MA. 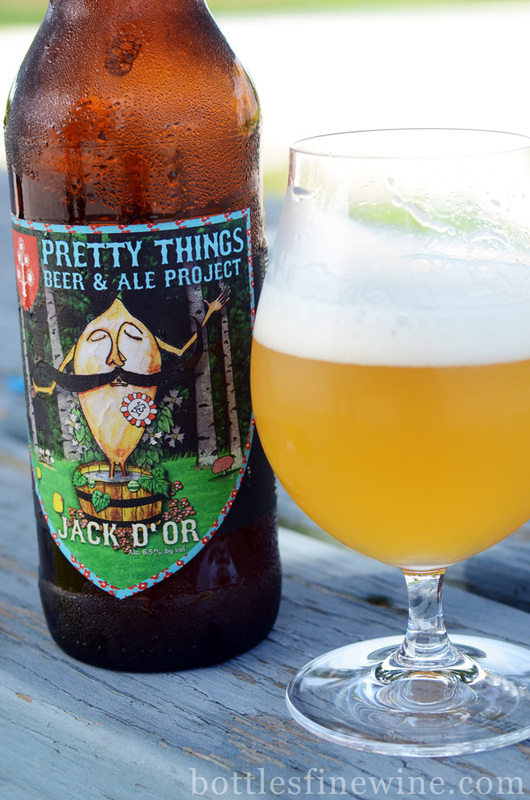 Pretty Things beers are known for being delicious, quirky interpretations and twists on classic beer styles. 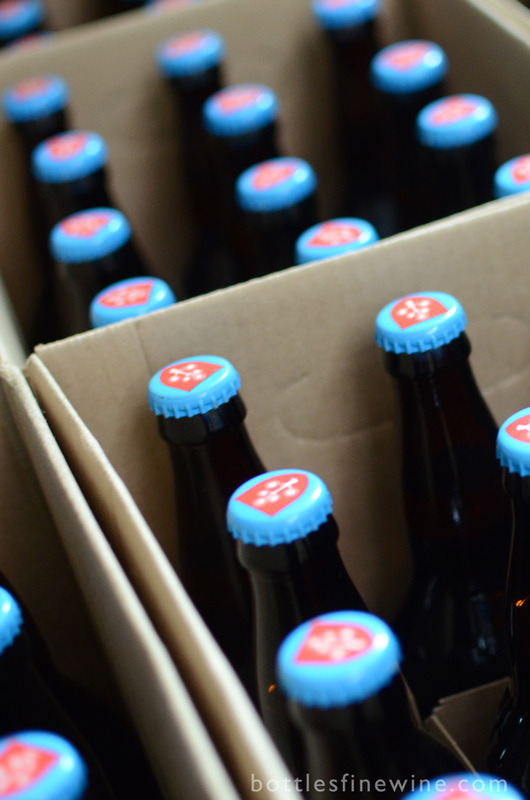 Watch the video to take a quick craft beer journey with Liam, the Bottles Beer Manager. The visit happened to coincide with the 4-year anniversary of the first batch of Jack D’Or. You can read the full description of Jack D’Or and the emblematic, mournful grain of barley named Jack, HERE. Bottled Jack D’Or ready to go. 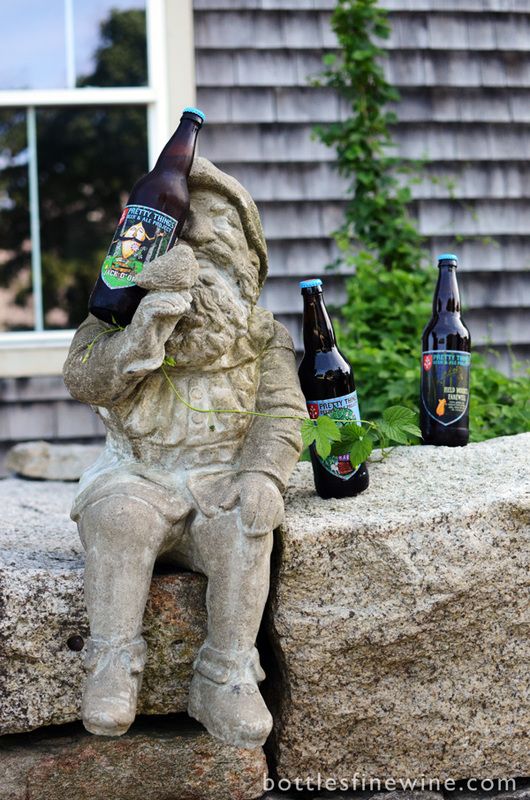 The resident gnome with a few Pretty Things Beers and hop vines. Dann chatting with Liam, Bottles Beer Manager. This entry was posted in Brewery Tours, Learn About Beer and tagged beer, brewery, pretty things, rhode island, ri, store, tour on January 18, 2013 by bottlesfinewine. Watch Liam’s (Bottles Beer Manager) visit to Sixpoint Brewery in Red Hook, Brooklyn this fall. Learn about Sixpoint’s history, the brewery, their hip can and packaging design, and about their beers, including Sweet Action, Resin, The Crisp, and Brownstone. 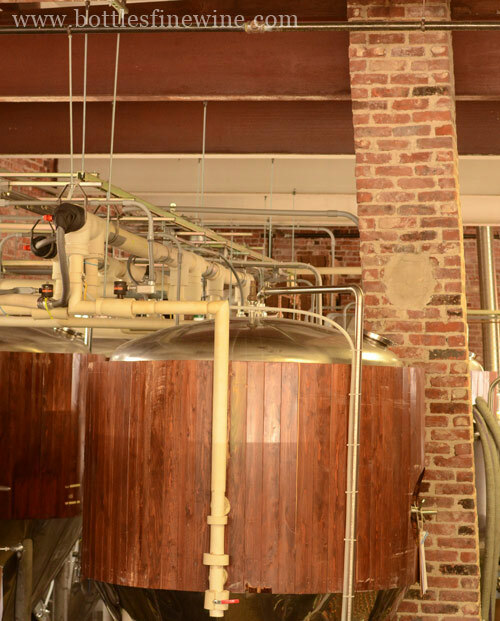 Looking for more behind-the-scene tours of breweries? This entry was posted in Brewery Tours, Learn About Beer and tagged beer, brooklyn, craft beer, ny, resin, sixpoint brewery, sweet action, tour on November 8, 2012 by bottlesfinewine. 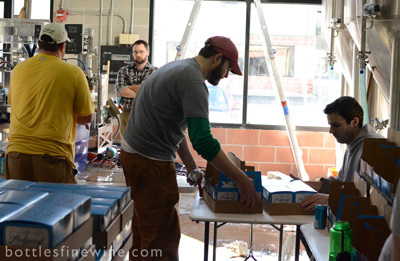 Recently, Bottles visited Grey Sail Brewing Company, a two year-old local Rhode Island brewery. 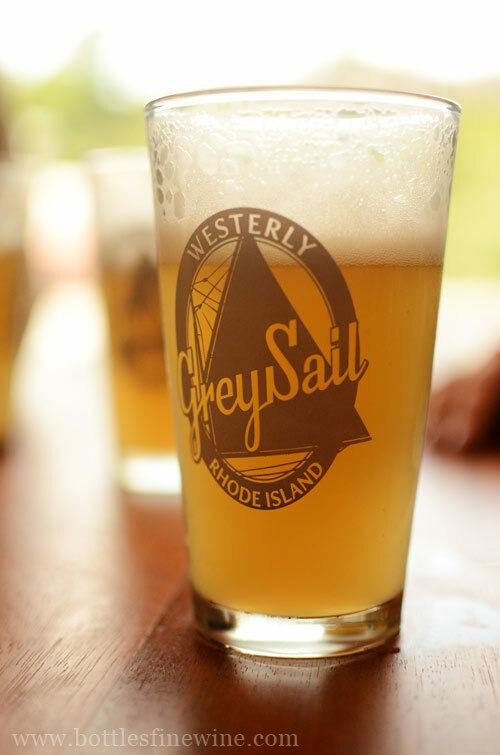 Located near the beaches of Westerly near the Connecticut border, Grey Sail offers a solid range of tasty craft beers, including their Flagship Ale and Flying Jenny Extra Pale Ale. Dan from Grey Sail was kind enough to give a tour of the brew house, and to chat with me about Grey Sail beers. Watch the brewery tour video here. 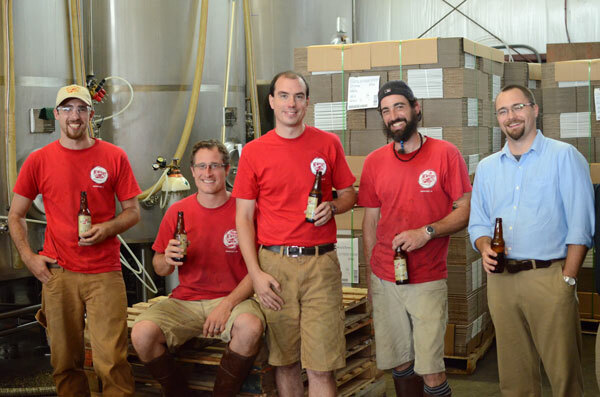 Grey Sail Brewing Company was started in 2010 on the beaches of Misquamicut and Watch Hill in Westerly, Rhode Island. Jennifer Brinton and her husband Alan, a home brewing enthusiast, took their children to these beaches nearly every day. 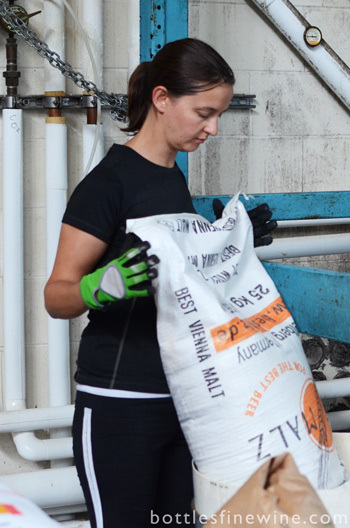 In 2009, Jen decided to use her talents to build and run the brewery that her husband, Alan, envisioned. Since then, Grey Sail has been slowly but surely growing from scratch. Grey Sail Brewing Company made its home in a previous macaroni factory. 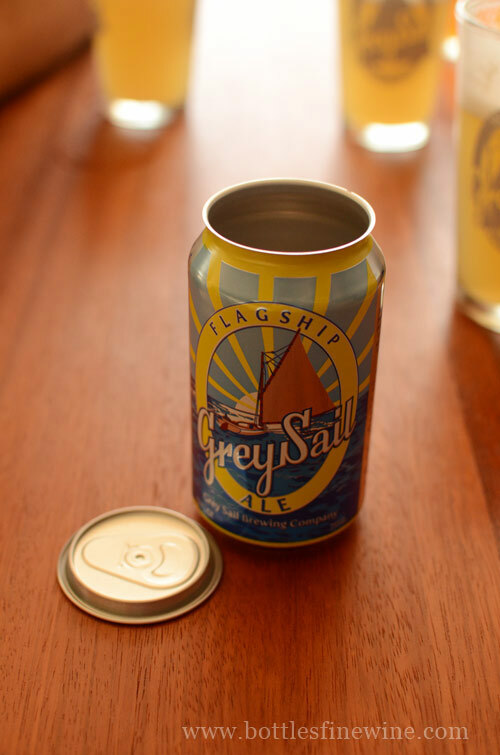 Many craft breweries use glass bottles, while Grey Sail uses cans. These aluminum cans are actually lined with a type of plastic, which better protects the beer from sunlight and air. Cans also take up less room in the fridge, are less likely to break, easy to recycle, and they can go where glass bottles can’t. This makes Grey Sail beers perfect for Rhode Island’s beaches, golf courses, patios and Rhody lifestyle. A quirky feature of the old brick building is the leaning chimney, inconveniently situated, but a part of this historical building that Jennifer wanted to preserve. The Leaning Chimney Smoked Porter is its namesake. This entry was posted in Brewery Tours, Learn About Beer and tagged beer, brewery, brewing, grey sail, rhode island, tour on October 17, 2012 by bottlesfinewine. 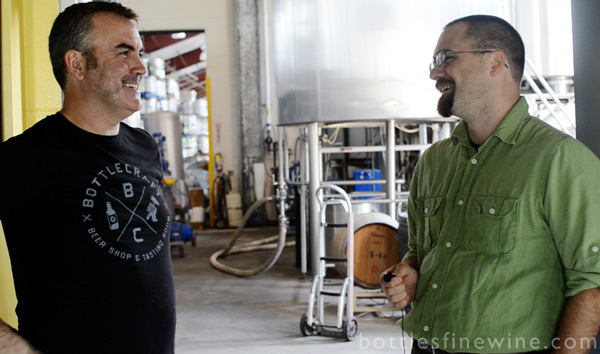 To coincide with Garrett Oliver’s visit to Bottles on October 19th, 2012, Liam recently visited the Brooklyn Brewery where Garrett gave a tour and discussed Sorachi Ace. Click here to watch the video. Want to know more about Garrett Oliver’s visit? Watch the event video for more details, or read this previous blog post. Garrett Oliver is a world-renowed brewmaster from the Brooklyn Brewery, and editor of the recently published Oxford Companion to Beer. At this Bottles Event, you can have your copy of The Oxford Companion to Beer or The Brewmaster’s Tales signed by Garrett. You can also taste a variety of Brooklyn Beers for free, and treat yourself to fresh Rhode Island Oysters from Walrus and Carpenter Oysters. This event takes place on October 19th, 3:30 – 6:00 at Bottles, 141 Pitman St. Providence, RI. 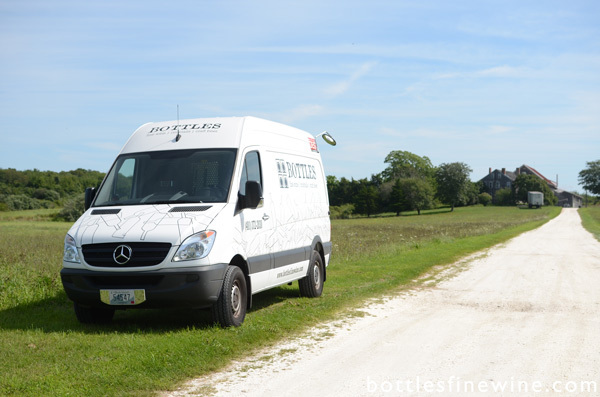 Contact us at (401) 372-2030 or info@bottlesfinewine.com for any further questions or information. 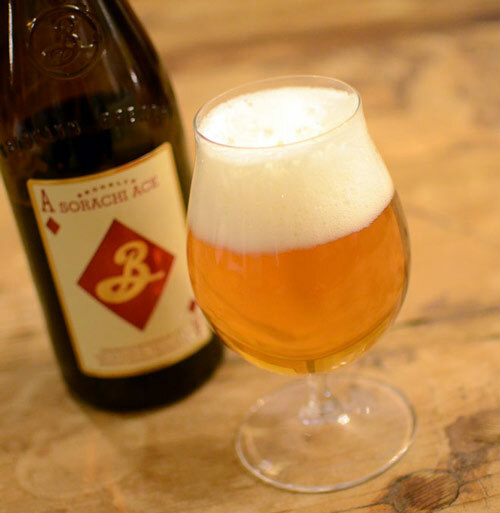 This entry was posted in Brewery Tours, Learn About Beer and tagged brooklyn brewery, garrett oliver, tour, video on October 11, 2012 by bottlesfinewine. 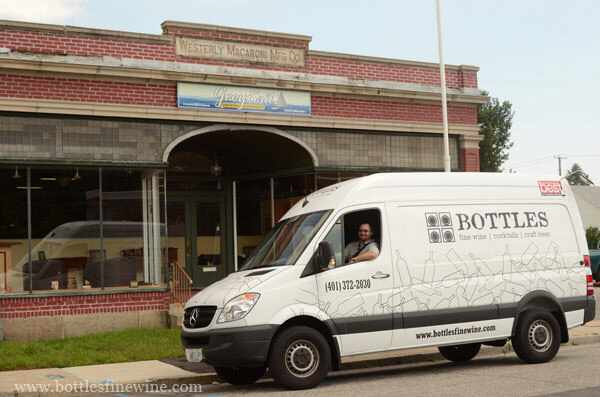 The folks here at Bottles recently visited Newport Storm Brewery, a local Rhode Island microbrewery that was bottling their first batch of India Point Ale when we visited. This “IPA” beer is named after India Point Park here in Providence, RI. India Point Ale uses local Rhode Island Chinook hops and New Zealand hops. 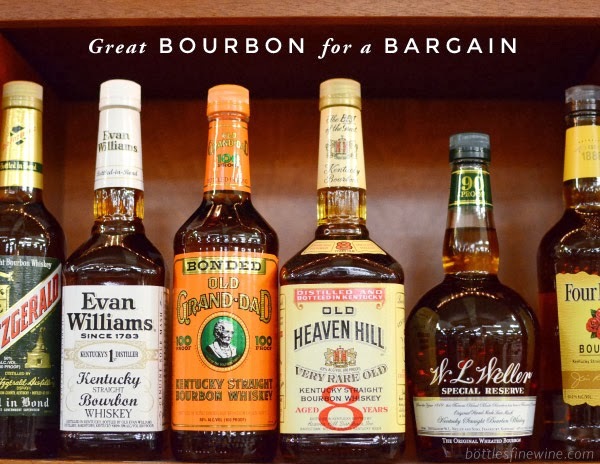 Bottles is a liquor store in Providence that has a great selection of craft beers to choose from. Newport Storm was started in the 1990’s by a group of chemistry majors in college, and has been growing ever since. They even distill their own rum, Thomas Tew Rum. 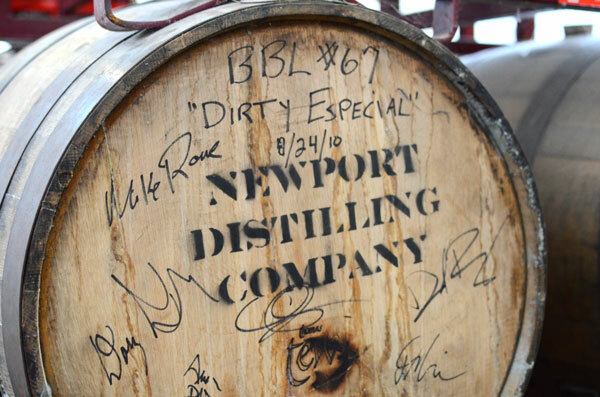 Mike Rowe from the television show “Dirty Jobs” also paid a visit to the Newport Storm Brewery and signed a barrel! We’ve been busy visiting more New England area craft breweries. 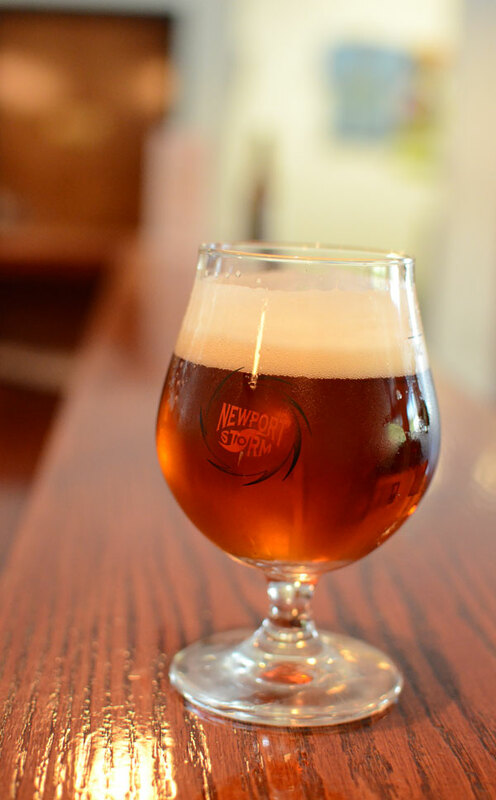 This entry was posted in Brewery Tours, Learn About Beer and tagged beer, brewery, newport storm, rhode island, tour on October 10, 2012 by bottlesfinewine.